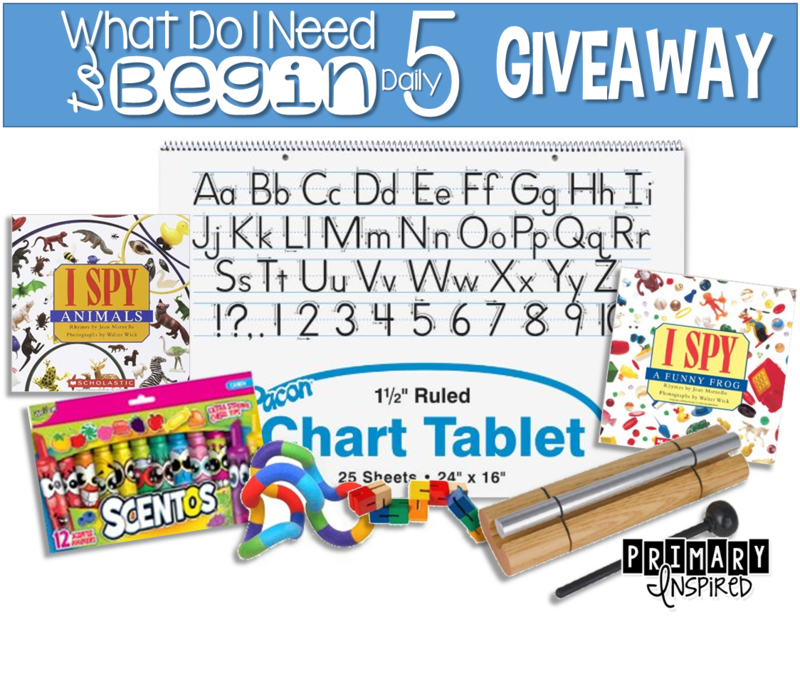 Primary Inspired: Daily 5- What Do I Need to Get Started? Daily 5- What Do I Need to Get Started? Welcome to Chapter 4! 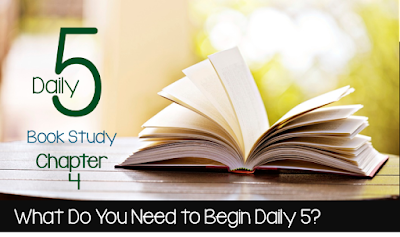 Are you loving Daily 5 so far? Ready to give it a try in your classroom, but wondering what you need to get it all started? Well this chapter is for you! In the last chapter, we talked about how a quiet signal is less obtrusive that a loud timer going off, or yelling loudly telling your kiddos it's time to move to the meeting area. Here's another reason for using a quiet signal: let's save our voices for instruction rather than management. Covered...right? We're going to need a place to create those I-charts of expected behaviors. Done. Kiddos are going to need a place to house their books so the books are at their disposal. Each of your kiddos will need her own box. A note about the beginning of the year: take some time before the first day to fill book boxes (or bags) with a variety of books. During that important training time at the beginning, kiddos are going to need enough books to keep them engaged. I-Charts are an important part of Teaching & Learning Independence. You know those I-Charts you create when you teach the expectations for each of the tasks? You're going to need to keep those posted in the room. That's something that I need to work hard at. I tend to not want to keep them up all year. But kiddos (& teachers) need to be able to refer to that visible learning. "Disposing of it would [be] throwing away a connection to prior thinking and learning." Yikes! I've really got to fight the urge to take them down & replace with something else. I'll need to think where we can post all of the charts will be making! Does my classroom need a special design to be able to do D5? Not really...but there are some things to think about when designing your room. You'll want functional spaces for kiddos to do the work that's part of D5: spaces for Read to Self, Read to Someone, Work on Writing, Word Work. Desks & chairs aren't always the best places to do that work. Do you have spaces planned where kiddos can work on the floor, while standing, comfy chairs or even a love seat? How about area rugs for sprawling? Make certain you are planning different types of work areas for all the important work that's going to be happening in your classroom! I'd love to help you get started with some of the things you'll be needing to launch D5 in your classroom! How about a fab prize pack filled with goodies?